I would have had these posts up yesterday but I was up at 630 a.m. to go on a 3 hour trip to Milan to meet a dear friend of mine from Catania, Sicily whom I have not seen in 14 years. It was fantastic seeing her. I love those friendships that no matter how long you are apart when you see each other again, it is as if you saw each other yesterday. 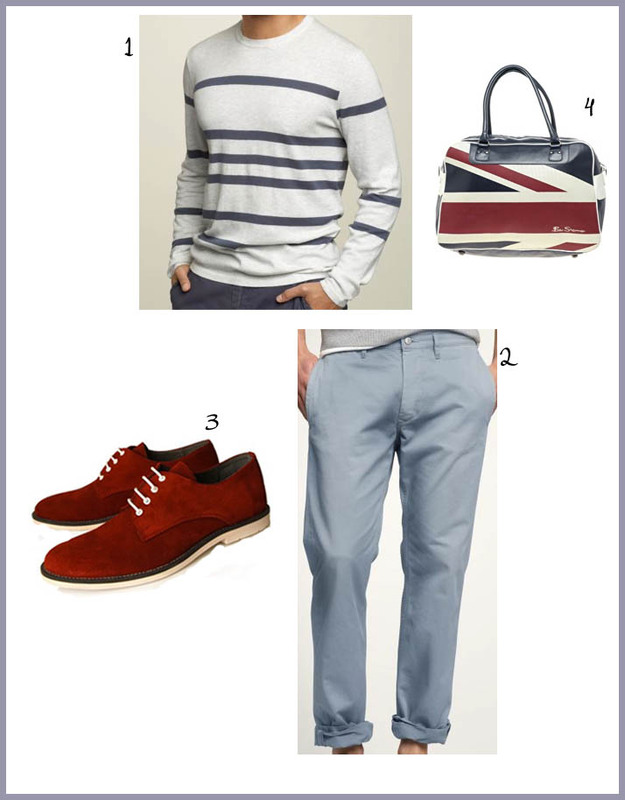 This week I bring you another men's fashion/color trend, cuffed pants and colored oxfords. Since starting Chuck Bass Fridays, I find myself excited about researching men's fashion trends both in America and abroad. What I am finding is that men's fashion usually parallels women's fashion. Whichever eras are popular in women's fashion, those eras are popular in men's fashion. The color stories of women's fashion tend to be the same in men's--although men's fashion tend to rely upon the darker color's in the color trends for spring and summer (sometimes bright colors come into play like green yellow and pink). It has been a blast getting men back into the fashion game. Enjoy my board. And the more I do these the better they will be. I will even include scarves, coats and jewelry. Today I am even including one of my fave men's fragrances. The bag is for traveling purposes (great carryon luggage) or gym purposes--(carry all your razors, after shave, hygiene things). Either way its stylish. Enjoy. 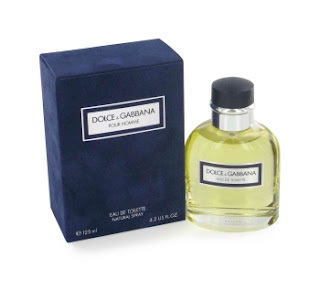 Dolce and Gabbana Cologne is an amazing smelling cologne with perfect amount of spicy, sweet, woodsy notes. Every time I smell it on a man it makes my heart flutter-- just a bit. Buon Weekend every one! I must gets to packing! 1 comment on "Men's Fashion Slate Red and Blue"